Showing recent results 1171 - 1185 of 4490 products found. 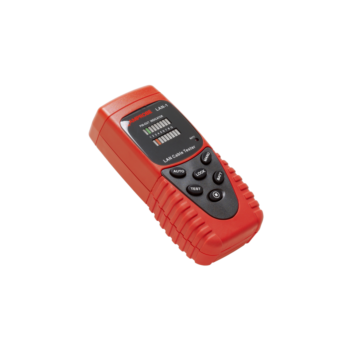 The ABS Sensor Pinpoint Tester is the quickest way to verify proper wheel speed sensor operation right from the service bay, no road test required. Simply connect the tester to the sensor and spin the wheel right in the service bay. The parade of LEDs provide visual confirmation of signal output. 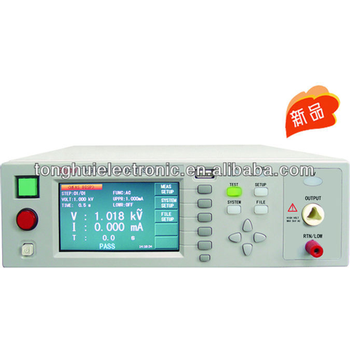 The signal error LED indicates erratic or intermittent signal output. 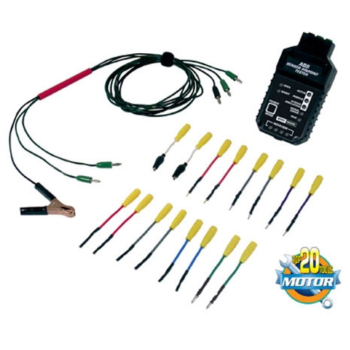 When used with a scan tool that provides wheel speed sensor data, the signal simulation feature simplifies pinpointing wire harness and ECU problems. 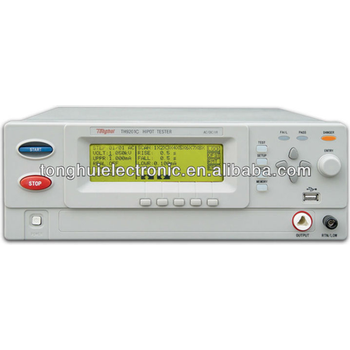 TH9310 - Tonghui Electronic Co., Ltd.
TH9310B - Tonghui Electronic Co., Ltd.
TH9201C - Tonghui Electronic Co., Ltd.
ESPIER2001 - Tokyo Electronics Trading Co., Ltd. There is a requirement of fast DC test such as open/short of any DUT pins, though complete performance test is not requested. Simplified test before and after burn-in, screening before the final test or before shipment are some of these examples. 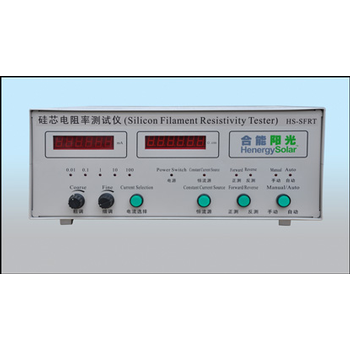 For this type of application, fast and inexpensive open/short tester is more suitable than the full DC tester that has plentiful test functions. 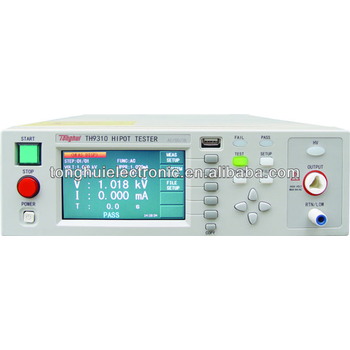 TF212 - TESTEX Testing Equipment Systems Ltd.
Wyzenbeek Abrasion Tester. 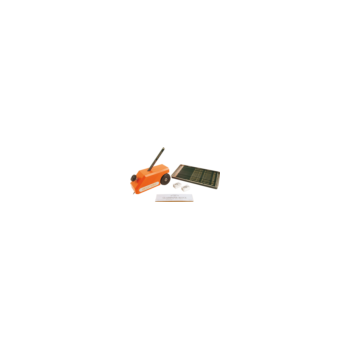 Modern ergonomic design to determine the abrasion resistance of fabrics when rubbed against a standard abrasive or a wire mesh screen with a backward and forward motion over a curved surface. Wyzenbeek abrasion tester applies to automotive and furniture industry fabric manufacturers working to US Standards Motor driven with 4 abrasion heads and electronic digital counter to control the number of cycles. The Elcometer 501 Pencil Hardness Tester has been designed to ensure that the cylindrical pencil lead is maintained at a constant angle of 45° and exerts a force of 7.5N (1.68lbF).The pencil lead, prepared beforehand using the special sharpener and abrasive paper, is inserted into the Elcometer 501 hardness tester and pushed over the smooth, flat coated surface.The lowest hardness value of the pencil which marks the coating determines the coating’s hardness rating. 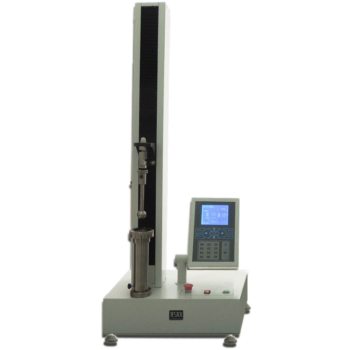 NI Series - NCS Testing Technology Co., Ltd.
NI Series Pendulum Impact Testers are used to detect the impact resistance of metal materials under dynamic loads. 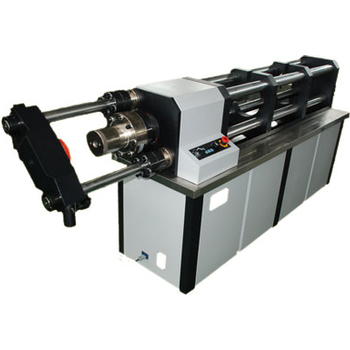 It can conduct large quantities of metal impact tests continuously, display the impact absorbing energy and pre-elevation rotation angle of the pendulum and print test reports. It is useful not only for manufacturers of metal materials and quality inspection organizations, but also for research institutes for analsysi of new materials. 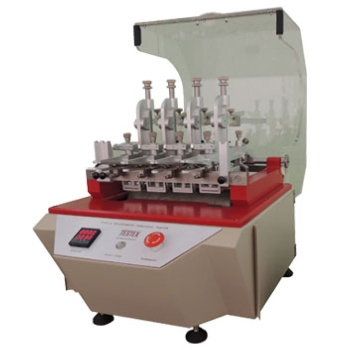 It can use automatic sampling system to greatly improve the test efficiency and reduce the labor intensity of testers. 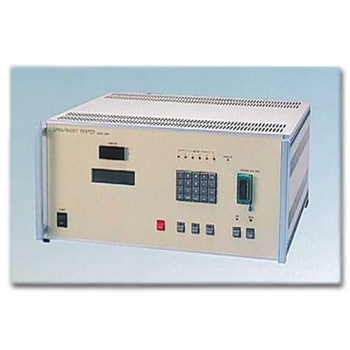 The LTE PGW Functional Tester provides a wrap-around test solution for the Packet Date Network Gateway by emulating all the LTE network elements surrounding the PDN-GW (System Under Test). 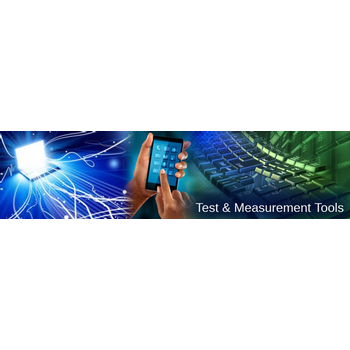 The P-GW Functional Tester emulates LTE Core Network entities such as the S-GW, PCRF, OCS and OFCS. It tests the S5/S8, S7/Gx, Gy and Gz interfaces of the P-GW. 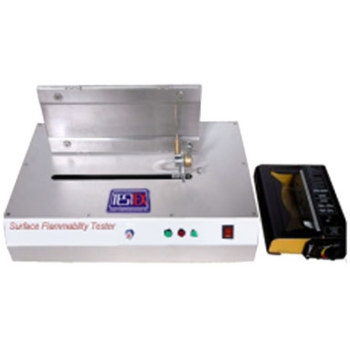 Torontech's Stress Relaxation Tester - TT-SR Series is used to determine stress-relaxation of metals, such as pre-stressed concrete strand, pre-stressed concrete bar, steel rope...etc. To determine stress-relaxation of a material the specimen is deformed a given amount and decrease in stress is recorded over prolonged period of exposure at constant elevated temperature.The Stress Relaxation Tester TT-SR Series complies with ASTM E328-02(2008) Standard Test Methods for Stress Relaxation Tests for Materials and Structures. 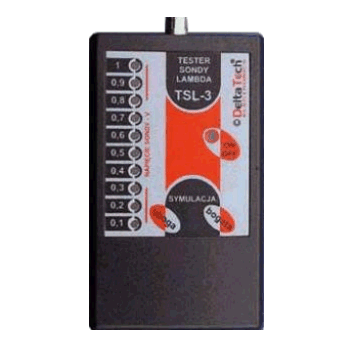 TF313 - TESTEX Testing Equipment Systems Ltd.